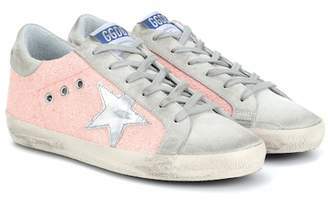 Add instant flair to your ensemble by purchasing a signature pair of Golden Goose footwear. 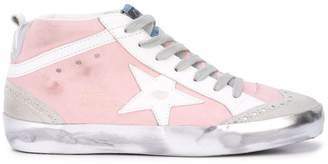 From beautifully manufactured distressed sneakers to sleek cowboy boots, you will definitely turn heads this season. 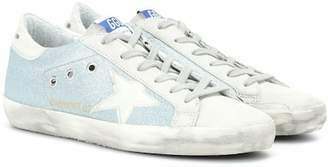 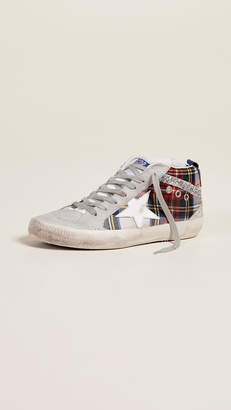 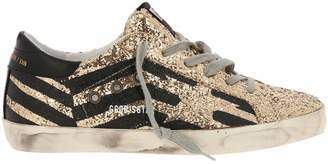 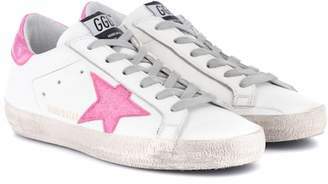 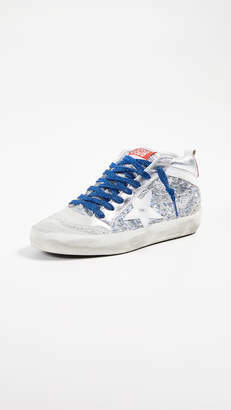 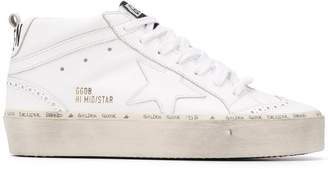 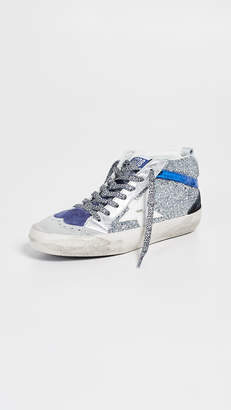 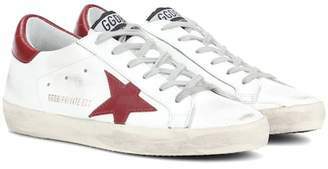 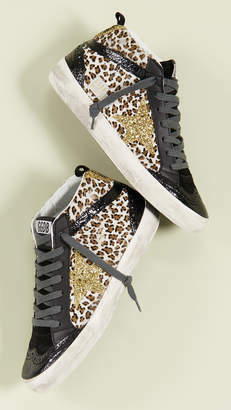 Fashioned in Italy and boasting a vintage effect, these Mid Star sneakers from Golden Goose Deluxe Brand feature a round toe, a lace-up front fastening, a logo patch at the tongue, a branded insole, a pull tab at the rear, glitter details, a flat rubber sole and a signature star patch detail to the side.